This pub was editorially chosen by Londonist for inclusion. 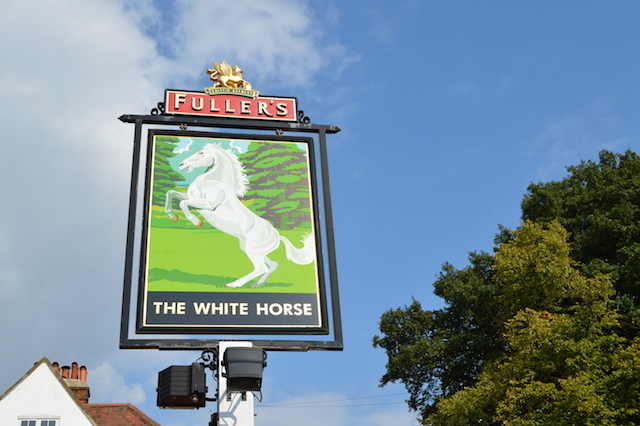 A sizeable Fuller's gastropub hidden away down the back-streets of Harrow on the Hill, the White Horse is a pleasant, unpretentious place to spend an afternoon. It has all seasons covered, with log fires for winter and plenty of outdoor space for summer. The smart interior makes for a comfortable dining room or casual drinking space while supping on one of the usual range of Fuller's beers. 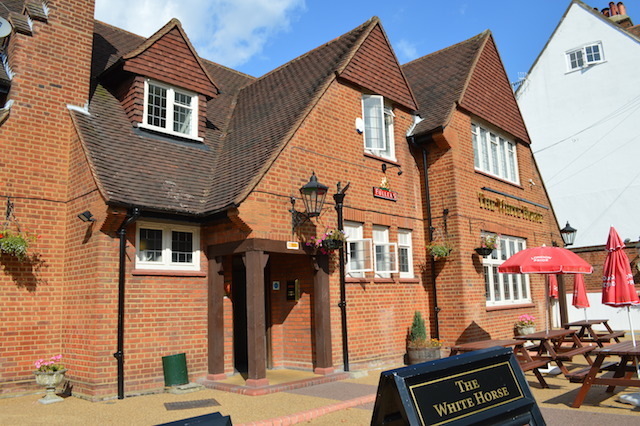 This being an out-of-town pub, and a long way from any station, you'll also find parking space round the side. 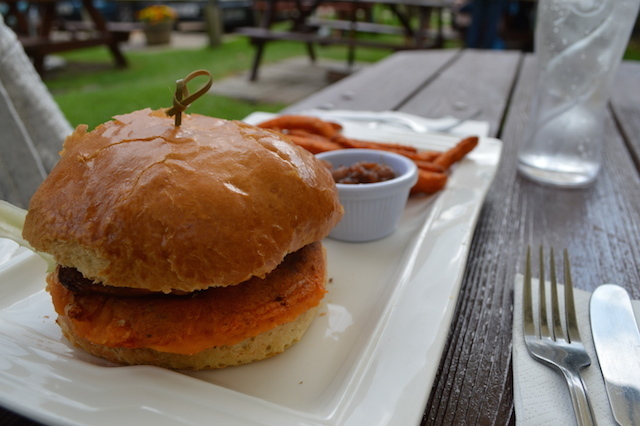 A vegetarian burger, looking tempting. 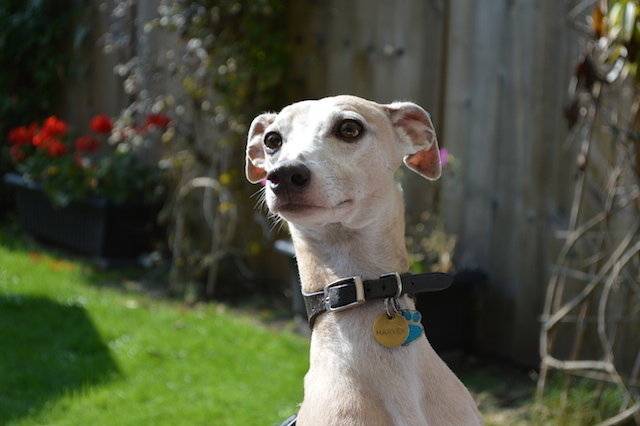 This dog spent his entire pub trip looking out for squirrels. 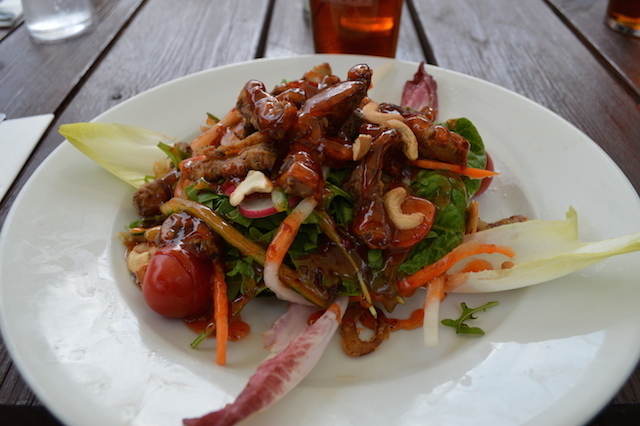 A crispy beef salad, nice and tangy.